I hope your day is simply delightful and ever so relaxing. Two things I wanted to let you know. . .
for the last two Sundays. and while some days it worked okay, other days it didn't work at all. and we purchased a Lenovo Yoga 720 2-in-1. So far I am loving it! since everything is working well again. is 20% off right now until Wednesday, the 6th. 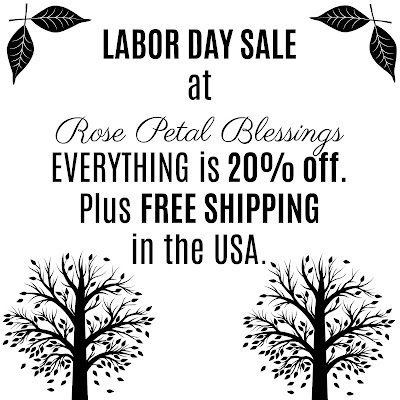 And please remember that I offer free shipping to all USA residents. 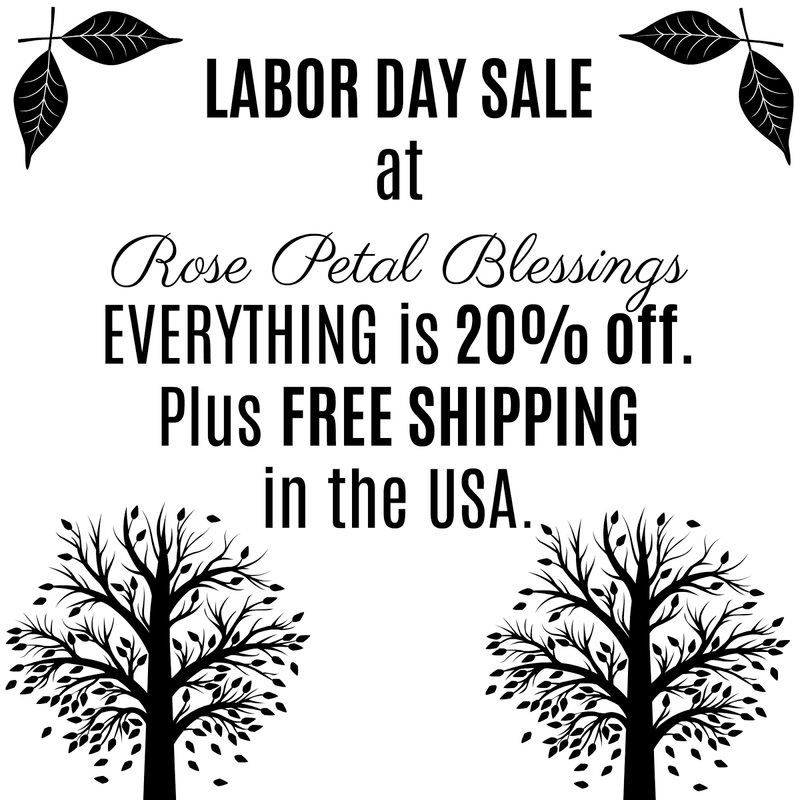 Stop by Rose Petal Blessings. I will "see" you on Wednesday. Yes, Lenovo Laptop is good. It has long life as well. Stop tempting me with your shop sales!! I really love the utensil holders. It seems like every time I go there I see NEW things I've missed. Have a great day and enjoy that laptop! Arghhhh Computer problems - they are the bain of my life too. Hope you had a great Labor Day weekend. Good to hear you are posting again, I have missed your sweet Sunday posts. Glad to hear that you bought a new computer! I just took mine in for a check up after 2 months and it had junk on it already. I think that might be the key to longevity. I had a Lenovo computer once....a refurbished one, but it was great. I have had my Lenovo for about 6 years now and I have never had an issue with it yet. Hi Stephanie, Hope you enjoyed a nice long holiday weekend. My hubby has a Lenova for business and loves it. His is the Lenova Yoga 2 in 1 Intel i7 Ultra book Solid State. He's had it two years and no issues. It's really a good laptop and I think you are going to love it. Technology can be so temperamental at times. Frustrating isn't it? So glad that you were able to get a new laptop. I just had a look around your Etsy shop. You have so many lovely things! Have a great week! So glad that your computer woes are at an end and you're up and running once again. I never thought we would become so dependent on our computers but it's amazing how much we miss them when they're acting up. Have a great day and enjoy that laptop!